Jacques Derrida: Law as Absolute Hospitality　presents a comprehensive account and understanding of Derrida’s approach to law and justice. Through a detailed reading of Derrida’s texts, Jacques de Ville contends that it is only by way of Derrida's deconstruction of the metaphysics of presence, and specifically in relation to the texts of Husserl, Levinas, Freud and Heidegger - that the reasoning behind his elusive works on law and justice can be grasped. Through detailed readings of texts such as To speculate – on Freud, Adieu, Declarations of Independence, Before the Law, Cogito and the history of madness, Given Time, Force of Law and Specters of Marx, De Ville contends that there is a continuity in Derrida’s thinking, and rejects the idea of an ‘ethical turn’. Derrida is shown to be neither a postmodernist nor a political liberal, but a radical revolutionary. De Ville also controversially contends that justice in Derrida’s thinking must be radically distinguished from Levinas’s reflections on ‘the other’. It is the notion of absolute hospitality - which Derrida derives from Levinas, but radically transforms - that provides the basis of this argument. Justice must on De Ville’s reading be understood in terms of a demand of absolute hospitality which is imposed on both the individual and the collective subject. 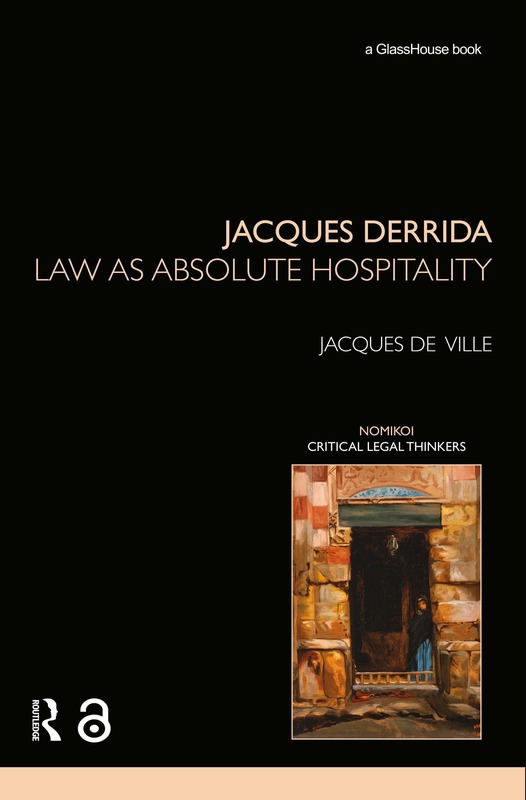 A much needed account of Derrida's influential approach to law,　Jacques Derrida: Law as Absolute Hospitality　will be an invaluable resource for those with an interest in legal theory, and for those with an interest in the ethics and politics of deconstruction.